If you haven’t played Grim Fandango, now’s your chance. 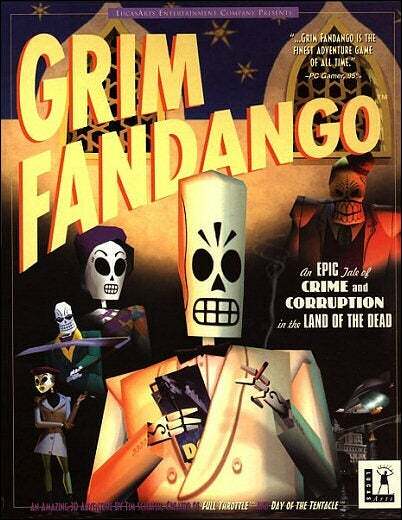 Grim Fandango was arguably the pinnacle of the PC adventure genre, and was widely acclaimed, but it didn't sell well. And as it turns out, getting the game to run on a modern machine is a little tricky. Unfortunately, Grim Fandango isn’t available on any digital distribution services, so you have to get your hands on a physical copy of the game. Since it was designed to install to a PC running Windows 98, you'll need the handy installer utility created by Bgbennyboy to install Grim Fandango on most modern computers. 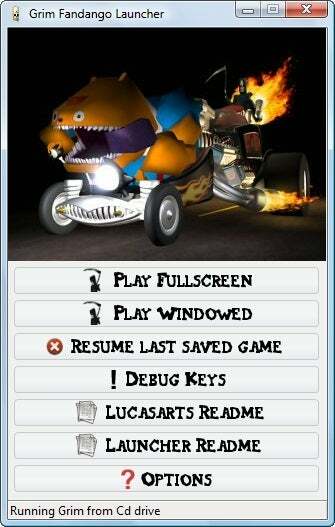 Just provide the discs, and the Grim Fandango Setup utility does the rest. Download the setup utility for free from Quick and Easy Software--and while you’re there, pick up the the excellent Grim Fandango Launcher as well. You can--and should--use Bgbennyboy’s launcher to automatically patch Grim Fandango to the latest version, which will eliminate a few game-ending bugs and slow down certain time-sensitive puzzles in the game so that you can solve them on your modern PC (which runs exponentially faster than the Windows 98 machines Grim Fandango was developed on). The launcher will also allow you to copy the executable file from your Grim Fandango CD to the hard drive so that you don’t have to bother inserting the disc every time you want to play, eliminating excess wear and tear on your classic CDs. Once the game is patched, you should be able to start it straight from the Grim Fandango Launcher and enjoy this classic LucasArts adventure game all over again. If you find that the time-based puzzles are still too fast to solve, try using a free CPU management tool such as CPU Killer to slow down your PC. That way, you can play the game as it was meant to be played.